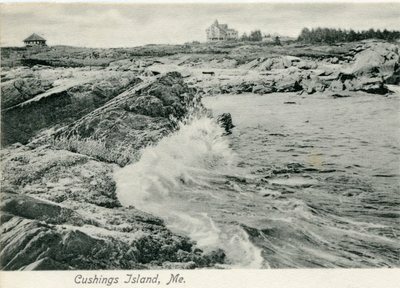 An image scanned from a black and white postcard captioned, "Cushings Island," although more commonly known today as Cushing Island, Maine. Several structures line the rocky coast. Undated but postmarked 1910.